It started by waking up early to put the final touches on my sermon. Preparation was easy, as I was asked to adapt my teaching from youth camp earlier in the week to address the whole church. I was also asked to consider that it is the Christmas season. 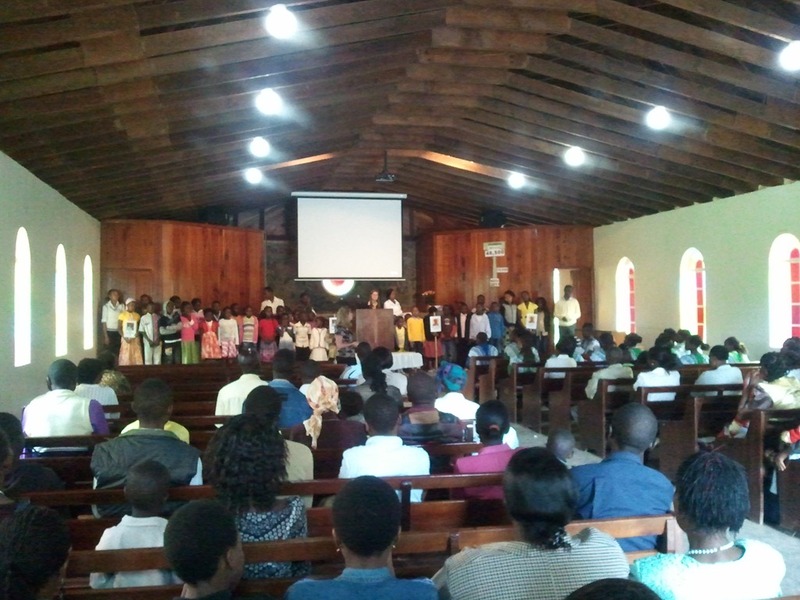 The theme for youth camp was “Truth Quest.” Christmas is a celebration of the birth of Christ—the coming of the Messiah. In these thoughts, my sermon was on the truth about the coming of Jesus. We simplify the coming of Christ to salvation, but Jesus came to do more than just to save us. He came to redeem the world, to bring heaven to earth. When Jesus sent his disciples out, he didn’t say, “go and preached that salvation is at hand.” He said, “proclaim that the kingdom of heaven is at hand.” (Matt. 10:7, 3:2, 4:17, 10:23….). At the fall of man, everything fell, all of creation, and Jesus came not just to save mankind, but to restore the universe to its original perfect state where God was Lord of everything. 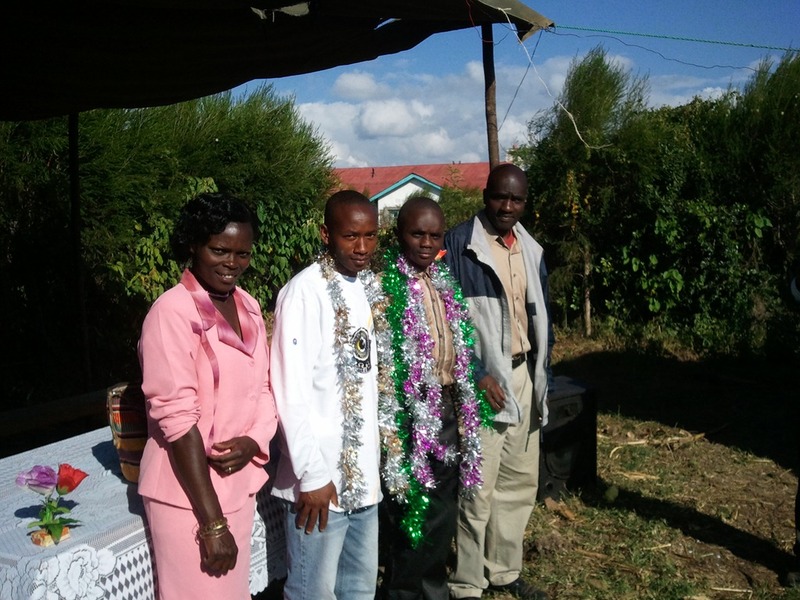 So I preached the English service and then Abby and I rushed to Timau for the graduation of the Passage to Manhood Camp where I was the guest speaker. 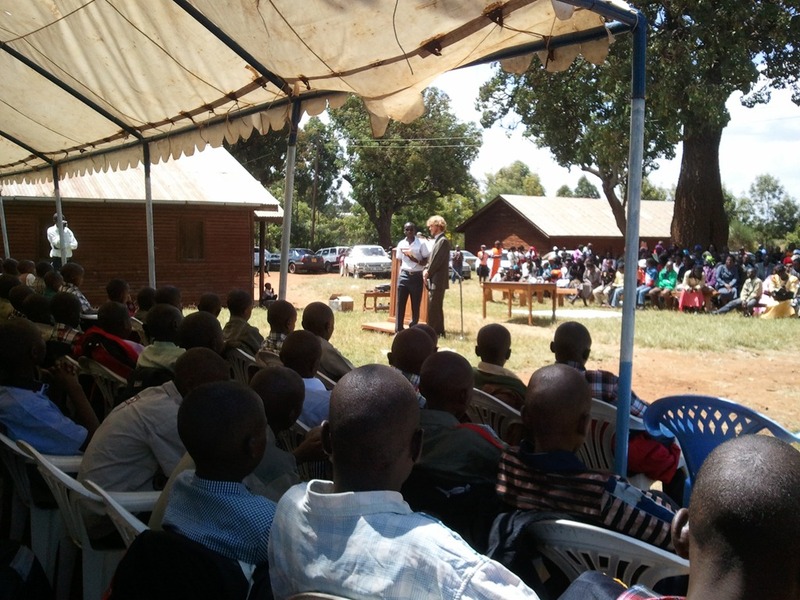 This was one of the first big events that I spoke at when we arrived in Kenya last year (look up the old blog from January if interested in knowing more, http://a2africa.wordpress.com/2011/01/06/passage-to-manhood-2/). 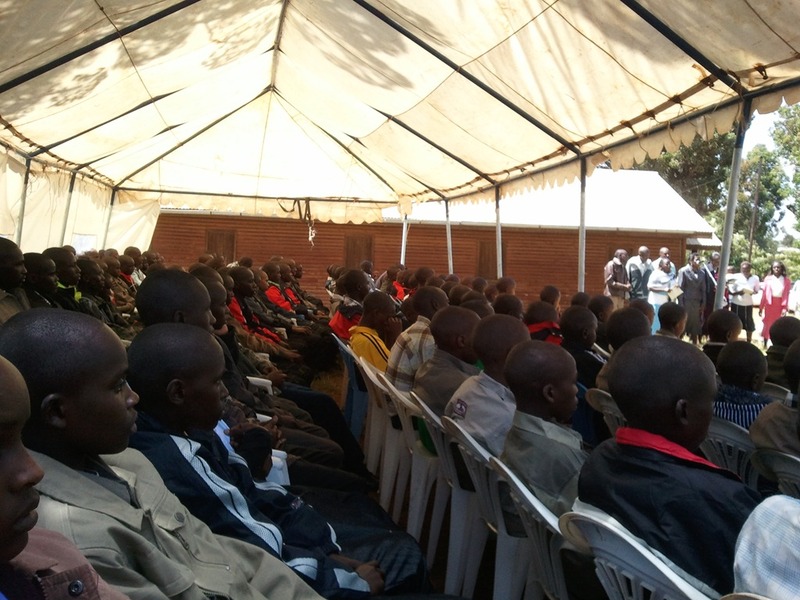 In short, this is when boys are circumcised, but there is richness of culture and this is a critical period of teaching boys what it means to be a man as they go from being watoto (children) to vijana (youth). Out of 144 youth, 116 accepted Jesus as their savior for the first time! I was told incredible stories of healing and truth as the boys learned what it means to be a true, godly man. Also, 8 responded to salvation at the graduation. After the graduation ceremony, we were invited to a friend’s home for more celebration. We went up to one of the farming communities at the base of Mount Kenya. It was absolutely gorgeous! 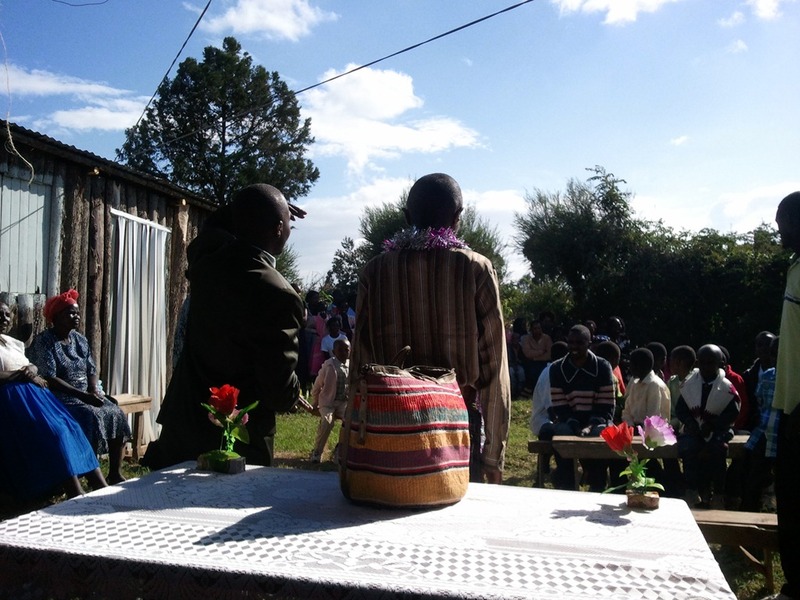 In some ways the ceremony reminded me of a kind of formal high school graduation party, and Minor, the boy who finished his circumcision, was happy to receive gifts, especially cash. After taking food, a must for a Kenyan gathering, we made our way home with some friends. Learning how to interact in a new culture can be just as exhausting as learning a new language, so we arrived at home satisfied by a wonderful day and ready to veg out and relax. The day still had one more treat in store. Our toilet has been flushing poorly the past week or so. At first I thought it was a small amount of TP that would dissolve with time. Now, it had stopped draining almost completely when flushed, and the pressure that would buildup was breaking the seal between the toilet and exit pipe causing a leak. With plans to leave for Tanzania early the next morning, I had to do something. I sought the help of Simon, the groundskeeper/general handy man. He suspected that the pipes outside to the septic tank were clogged. Sure enough, we spent the next hour flushing all the waste out of the pipes. With the toilet flushing like new, it was finally time to take the load off and relax at the end a great day.